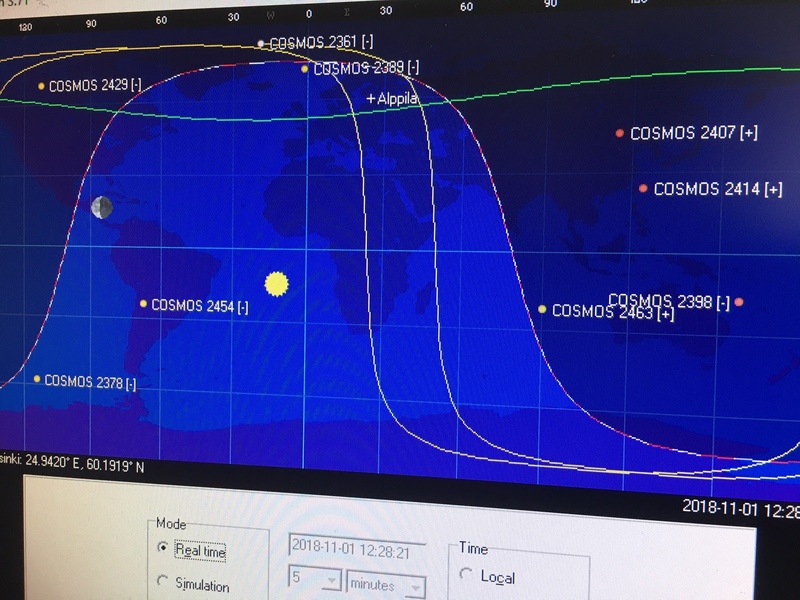 Receiving Cosmos 2463 satellite with SDR# software and SIRIO SD 1300 N Discone Antenna 25 MHz – 1.3 GHz antenna powered with amplifier. For satellites tracking I use Orbitron. Cosmos satellites are old Russian Navy navigation satellites that are no longer in use. See more information below. “The Russian Military Parus satellites are/where used for low-earth orbiting navigation information and store-dump radio communications relay service for Red Navy surface vessels and submarines. Each satellite is in a near-circular orbit of about 1000 km (620 miles).The orbits are polar (pass over the poles of the earth) and stay stationary in space so that as the earth rotates, the satellite covers different parts of the planet. There are three currently operational, Cosmos 2407, 2414, and the last one launched in this series (April 2012) Cosmos 2463 with a lifespan of 4 years. They are discontinued now as the GLONASS Navigation systems did take over the service which are providing a better accurate GPS position. Why the Parus-Satellites are currently still broadcasting data is unknown. Most probably due the older vessels and submarines are still using Shkhuna Radio systems. Check out also “Radiosignaali kansainväliseltä avaruusasemalta”.